The game has been reinvented thanks to the new Nike Footballx soccer shoes. These shoes are made for the innate soccer player in all of us that’s always ready to throw down on a little friendly competition. While keeping a stylish look on the streets, these shoes were designed for ultimate performance during your 5 on 5 small side matches. Nike continues to push the boundaries of what is possible in a soccer shoe, at soccerloco we bring you the widest variety of Nike FootballX shoes to choose from all at low competitive prices. Shop now and take advantage of our flat rate shipping and no hassle returns. 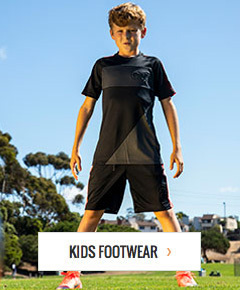 Shop Nike FootballX soccer shoes online at soccerloco today and save big!